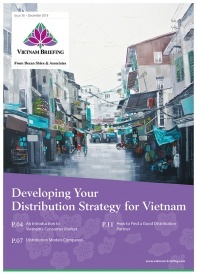 Small and medium-sized enterprises continue to play a major role in Vietnam, accounting for 98 per cent of all enterprises, 40 percent of GDP, and 50 percent of employment. The number of SMEs has grown by around 100,000 in 2016, driven mostly by government reforms. However, SMEs continue to face problems such as access to finance, market access, and competition with foreign firms. The government has introduced the Law 04/2017/QH14 – Law on Support for Small- and Medium-sized Enterprises (SME Law) establishing support measures for SMEs in terms of incentives, credit access, land rental preferences, and human resource development. total revenue of the preceding year shall not exceed VND 300 billion (around USD13.2 million). Tax support: SMEs will be entitled to a lower CIT rate than the standard rate for a finite period. The rate and period will be provided in a guiding regulation. Reduction of or exemption from CIT for a definite period of time. Other support measures: SMEs can also receive support in human resource development and legal consultancy. If SMEs are eligible for multiple support measures, they are allowed to choose their preferred support measures. Priority for such measures will be given to SMEs, which are women-owned or have higher female share in employment. 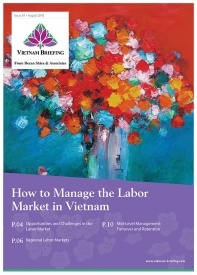 With the new SME Law, SMEs in Vietnam hope to overcome challenges that they been facing for a while. Challenges include access to finance and land, competition with foreign firms, and integration in global value chains. 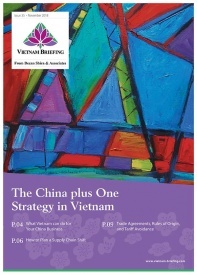 Credit access is a major concern for the Vietnamese SMEs. Banks providing commercial loans prefer to allocate their resources to larger firms rather than SMEs. According to banks, higher default risks, lack of financial transparency, and lack of assets for a mortgage are the major factors for not providing loans to SMEs. SMEs have to increase transparency and introduce newer production technologies, to reduce risks and increase efficiency to increase their chances of acquiring commercial loans. As of 2017, only 21 percent of Vietnamese SMEs are linked with global supply chains, much lower than 30 percent and 46 percent in Thailand and Malaysia respectively. Integrating further with global supply chains in terms of procurement, operations, and sales will allow firms to manage competition, reduce risks, and reduce production costs, which currently is 20 percent higher than those of neighboring countries, such as Thailand and China. 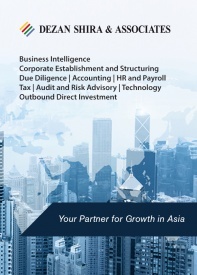 Competition mainly from foreign-invested enterprises has hindered the growth of SMEs in the last few years. FDI has emerged as a major source of funding and technology, that SMEs find difficult to compete with, leading to unfair competition. The SME law hopes to mitigate disadvantages faced by domestic firms in terms of access to land, capital, and technology. R&D in Vietnam is mostly concentrated in the larger firms. Private sector firms invest only about three percent of their budgets in R&D, leading to reduced efficiency and higher production costs. Domestic firms have to focus on digitization and innovation if it wants to compete with foreign firms as the global economy moves towards the Fourth Industrial Revolution. The government has to work with organizations to raise the technology capability of SMEs through programs supporting research and technological development. Domestic businesses have often complained of unnecessary and cumbersome regulations while setting up businesses, leading to higher investment costs and delays. 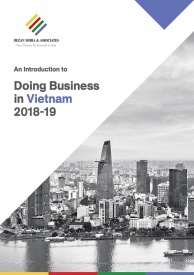 In the World Bank’s Ease of Doing Business 2017, Vietnam ranked 82nd amongst 190 economies. Major areas of concern were starting a business, and resolving insolvency in which the country was ranked 121st and 125th respectively. The government has taken note of such issues and is trying to reduce unnecessary regulations. 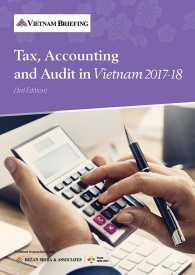 In September 2017, Vietnam’s Ministry of Industry and Trade decided to cut down more than half of the total business and investment conditions, from around 1,200 to just 675, to simplify the administrative process, especially for private, small, and medium enterprises. Despite the challenges, the private sector is optimistic about the future. According to a survey by CPA Australia, 89 percent of small businesses reported growing in 2016 and 94 percent expect to grow further in 2017. As per survey findings, small businesses will continue to invest in innovation, e-commerce, social media, training, and exports to compete with foreign firms and integrate themselves further into the global supply chains. In terms of employment, 54 percent of the surveyed SMEs increased their employee numbers in 2016 and 71 percent are likely to continue hiring in 2017. Given the growing importance of SMEs, the new law will further provide a thriving environment for SMEs. Going forward, the government needs to continue their support, focusing on regulations, administrative issues, human resources management, capital management, and technical consultations if it wants to improve production and services and achieve its goal of one million enterprises by 2020, which currently stands at only 600,000.